Metal mag Decibel has published their Top 40 Albums of 2014 list in their newest issue, which you can check out in more detail if you’re a subscriber. And thanks to Stereogum who transcribed it, you can also browse the full thing below. Though Decibel have tended to lean towards veterans for their top spot, a much newer band takes the #1 album this year. And if you’re into modern metal, their choice is pretty hard to argue. Those big veteran comeback albums show up soon after though, with At the Gates taking #2 and Godflesh coming in at #5. There’s plenty more on there too — see for yourself below. 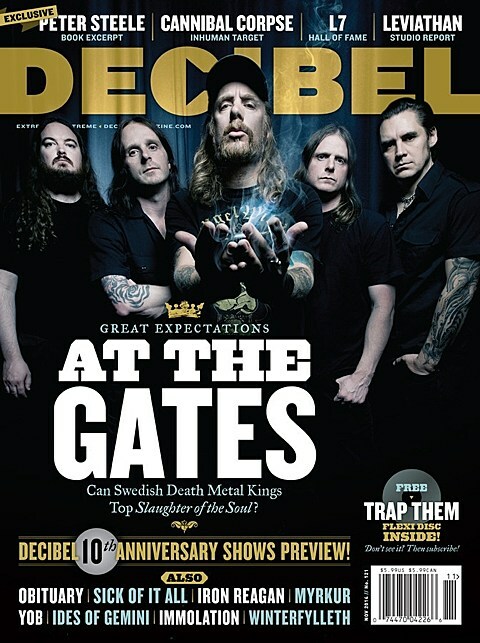 At the Gates, related band Vallenfyre (#8 on this list), and 2012 winners Converge will head out on the 2015 Decibel tour next year. As discussed, that hits NYC on April 12 at Webster Hall. Tickets for that one are still available.